There are many good reasons that a person may wish to relocate, such as being offered a job or moving to be near a loved one. However, for parents who share custody or parental responsibility of a child, relocation can lead to complex legal issues. If you find yourself in a situation where you wish to move, or your ex-spouse may relocate, the Fort Lauderdale offices of Sandra Bonfiglio, P.A., can help you protect your rights as a parent. Contact our experienced Fort Lauderdale child relocation attorneys today. Proving that relocation should be granted is often difficult, especially if the other parent has been active in the child’s life. However, receiving permission to move is more likely if an agreeable substitute parenting plan, including contribution toward transportation costs of the other parent, is provided. We can help you create a plan that a court will find fair and reasonable. If the non-relocating parent files a notice that they intend to contest the relocation, the relocating parent must obtain the court’s permission in order to relocate. If a parent relocates without providing proper notice, or after a notice to contest the relocation has been filed, that parent may be sanctioned by the court, which could include an order compelling the return of the child and/or loss of custody or time-sharing rights. When the parents do not agree on the relocation issue, a Florida family court can hold a preliminary hearing and issue a temporary custody order either granting or denying the relocation on a short-term basis until a final hearing can be held by the court. 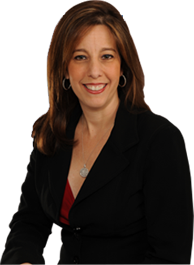 If you are considering a move with your child, or your ex-spouse may relocate, please contact Fort Lauderdale child relocation attorney, Sandra Bonfiglio, P.A. to schedule a consultation. We can answer your questions and help you protect your parental rights going forward.